just dance. | there's no place like gnome. Not only the title of a song by my current favorite guilty pleasure, Lady Gaga, but also the name of the Wii game Drew brought to our house one evening. 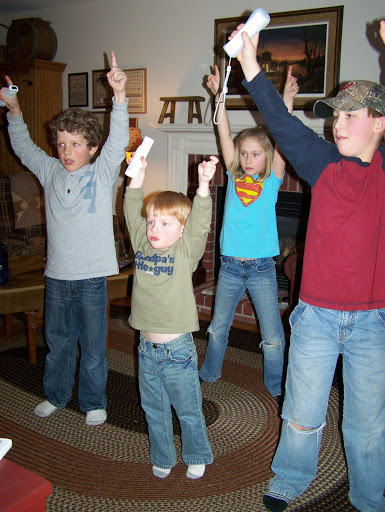 Hold the controller in your right hand, follow the dance moves on the screen, and look like a fool while doing it. We all got in on the action; it was a laugh riot. This was just one of the fun nights I had while at home for a brief four and a half days. It was great to get home, forget about work for a bit, and see lots of family and friends. The trip had no real purpose or occasion (groundhog day?) but after not being home for Christmas and probably not being home again until well after Easter, it seemed like the right place on the calendar.